Fine hair is both, a blessing and a curse. It is a blessing because it responds so well to styling and it’s a curse because it is so susceptible to damage. Even if you manage to keep it healthy, you have a battle on your hands to keep it from looking dull, flat, and limp. As difficult as it may be to handle fine hairs, you still see loads of people rocking gorgeous blowouts and hairstyles with their fine hair. How do they do it? They either have enormous amounts of money to spend at the salon or they know how to take care of fine hair. While going to the salon regularly is going to cost you, nothing is stopping you from getting salon-style blowouts at home. All you need to do is understand what fine hairs need, learn the right drying techniques, and get the right hair dryer. We’ll help you with each of those things in this guide. Here’s a quick-click navigation panel that you can use to jump around the page. A hair dryer that is custom-made for people with fine hair available at an amazingly competitive price, very lightweight device. 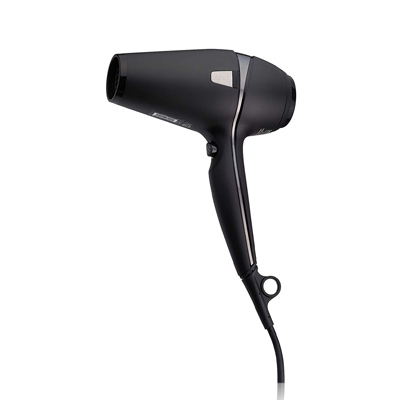 Utilizing unique technologies, this Panasonic hair dryer is virtually perfect for fine-haired individuals. This supersonic hair dryer is the most advanced hair dryer with the best features and qualities, especially when it comes to fine hairs. What Does it Mean to Have Fine Hair? How Should You Dry Fine Hair? How to Choose A Blow Dryer for Fine Hair? What is fine hair and how do you know you have fine hair? Here’s an easy test that will help you figure this out. Pluck a hair strand and roll it between your thumb and forefinger. If you can’t feel the hair, then you have fine hair. If you can barely feel it, then you have medium hair. If you can feel it strongly, then you have coarse hair. In practice, it may not be as clear cut as described above, but you’ll be able to decide if you have fine hair or not. It is important to note that having fine hair and having thin hair are two different things. People with fine hair have thinner hair strands while people with thin hair have fewer hair strands. The thickness of the hair shaft and the number of hair strands are the two differentiators. Fine hair is prone to damage. It can get damaged by the slightest of things such as hot air from the hair dryer, rough brushing, too much moisture, too much product, and even environmental changes in temperature and humidity. The natural susceptibility of fine hairs and poor maintenance regimes or drying techniques often result in a wide variety of hair problems. For instance, frizz and flyaway hairs are common in people with fine hair. Similarly, limp and lifeless hair’s also a common occurrence in people with fine hair. In fact, some people with fine hair even complain of having extra-greasy hair. This happens because people with fine hair have more oil glands on their scalp to protect the more numerous hair strands. Excess grease is precisely why fine hairs need washing every day or every other day. Failing to wash your fine hair regularly may be the reason why your hair is dead, limp, lifeless, and extra-greasy. At the same time, if you wash your fine hairs regularly, then you overexpose them to damage from moisture, resulting in frizzy and flyaway hair. You’re not entirely wrong if you see this as a vicious circle. The best way to break this negative spiral is to dry your fine hairs properly after every wash.
You can’t leave fine hairs wet. Wet hairs are more prone to damage, breakage, frizz, and split ends. Wet fine hairs even more so. Therefore, you absolutely have to dry your fine hair after every wash. Washing and drying your hair regularly increases the likelihood of damage from moisture and heat both. To avoid this risk, you should use products designed to protect your hair. If you don’t want to use commercial products, you can use naturally occurring oils such as sesame seed oil, avocado oil, coconut oil, or argan oil. Even these protestants can’t protect your hairs from poor drying techniques, however. Therefore, here are some quick tips to help you refine and perfect your hair drying technique. While most of the drying will take place with the hair dryer, it is good to prepare the hair for the process. Each of these preparation tips will reduce potential heat damage and also speed up the drying process on the whole. Even the best hair dryer and professional techniques will not be able to dry hair that is dripping wet. Therefore, the moment you are done showering or bathing, you should wring your hair dry. We even recommend bending over and shaking excess water off. You can also choose a wide-toothed comb or a detangling brush to help get the water out. 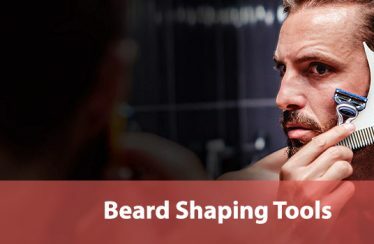 A wide-toothed comb will be a better option though. Cotton towels aren’t the best option for people with fine hair because cotton tends to catch and pull hair. Further, since fine hair is weaker, it can break off if caught in the towel. A better option will be to dry your hair with a microfiber towel. Microfiber is not only gentler on fine hairs but also boasts of greater absorption capacity. After dabbing excess water off with a microfiber towel, we recommend wrapping your hair in a turban or wearing a microfiber hair cap. 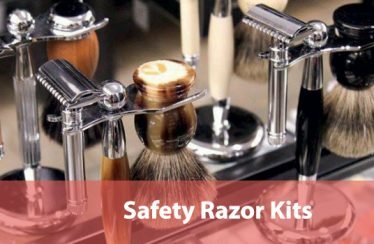 You can also try microfiber brushes, microfiber caps, or even blotting paper if you want to take things another step further. It’s a mistake to dry your hair in the bathroom with all the steam, moisture, and humidity in the air around you. Your hairs will just absorb moisture all over again from the surrounding air. It is better to step out of this kind of an environment and then dry your hair. One of the benefits of having fine hair is that your hair will dry faster. On the other hand, one of the flaws of having fine hair is that it is much easier to over dry or fry them with the hair dryer. Everything boils down to your hair drying technique. Here are some tips. Start by sectioning your hair. Clip them up and dry each section one by one. This may seem time-consuming to you initially, but once you get the hang of it, it will end up saving you a lot of time. Further, it will also keep your hairs from getting damaged. Fine hairs are very susceptible to heat. They fry and roast very easily. Therefore, you should always use your hair dryer on lower heat settings. Further, you should always keep the hair dryer moving. This will keep heat from building up in any one part of your head. Experts will always use the rough-drying technique on fine hair because fine hair needs to breathe more than other hair types. When you allow fine hairs to breathe, the hair strands thicken. Needless to say, this will add volume and bounce to your hair. Rough-drying is a very simple but effective technique. You use your fingers to toss your hair about while applying the hair dryer without the nozzle. The concentrator attachment is excellent for finishing off the drying process. The best time to use the concentrator is when your hair is 80 percent dry. You can style your hair at this point too if you want. To fix the new style in place, use the cold shot button. This is particularly useful for people with fine hair because it seals off the hair strands. If there is one thing that fine hair needs, it is control. This is why you can’t just use any hair dryer on your fine hair. You need a hair dryer that will give you that absolute control over how you dry your hair. Here are some things to consider while looking for the best hair dryer for fine hair. While you may think that low wattage hair dryers are good for fine hairs, they aren’t because they don’t offer enough blowing power. Fine hairs respond better to blown air than heat. As a result, you’ll want a hair dryer with a lot of blowing power. This means finding a hair dryer with high wattage. While you want higher blowing power, you also want more control over the heat produced. The more temperature settings your hair dryer has, the more control you’ll have over how much heat you expose your fine hair to. This means looking for hair dryers with more temperature settings. The cheapest and most basic hair dryers produce uneven heat. As a result, these types of hair dryers can damage fine hairs every time they blow extra hot air. Therefore, when looking for a hair dryer for your fine hair, you want one of these technologies – ceramic, ionic, or tourmaline. Hair dryers based on these modern technologies tend to be significantly more expensive than basic hair dryers. What do these technologies do? Let us explain. A hair dryer with a ceramic coating inside never produces uneven heat. The heat it produces is uniformly distributed and conforms to the chosen setting. Even heat distribution is the absolute minimum you should consider when buying a hair dryer for your fine hair, which is why you shouldn’t buy a hair dryer without this technology. In the majority of cases, ceramic hair dryers also boast of ionic technology. Ionic technology is very helpful for fine hair. This technology allows the hair dryer to produce negatively charged ions. Negatively charged ions offer two benefits to fine hair. The first is that they seal off hair strands and hair cuticles protecting them from the surrounding moisture. Further, they speed up drying times. Negatively charged ions can break up larger water molecules into smaller ones. Smaller water molecules evaporate far more quickly than bigger molecules because they absorb heat faster. As a result, less heat is used and hair dries more quickly. Ceramic technology may also be clubbed with tourmaline technology. When crushed tourmaline and ceramics are combined, the combination naturally generates negatively charged ions. These types of hair dryers, however, don’t produce as much negatively charged ions as hair dryers with independent ionic technology. You’ll also come across hair dryers with far-infrared technology. These hair dryers are excellent for fine hair. Far-infrared technology uses infrared heat which penetrates deep into the hair strand and dries it gently from the inside. As a result, this technology causes no heat damage to fine hairs and dries hair significantly faster. While it is possible to dry your hair without any attachments, the best results are achieved with the concentrator attachment. This is why you want a hair dryer that includes a concentrator attachment in the package. While the majority of hair dryers come with concentrator and diff user attachments, a few models offer two differently-sized concentrators. Differently-sized concentrators can be used for different-sized hair sections, making styling easier. This product from Dyson is easily the best hair dryer in the market right now. It has the most advanced technologies and offers the most cutting-edge features possible. This hair dryer is especially excellent for fine hairs because it completely nullifies the risk of heat damage. This device is based on state-of-the-art supersonic technology. Because of this technology, this hair dryer can deliver massive amounts of power. This power, however, is not used for brute force drying with incredibly high air temperatures. Instead, it backs the device’s revolutionary new architecture designed to dry hair with high-velocity air instead of high temperatures. It’s design actually allows it to generate more blowing power than it’s power output rating of 1600 watts. This device is all about minimizing heat damage. To minimize heat exposure, it has a built-in heat sensor that closely monitors air temperature. The sensor is so advanced that it measures air temperatures 20 times per second! As a result, the air temperatures never reach the point where they could damage hairs. Its reliance on blowing power over heat doesn’t mean that it dries hair slower than traditional hair dryers. On the contrary, it is much faster than traditional hair dryers saving time and effort both. 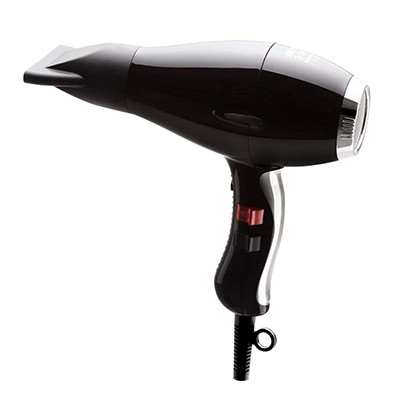 Further, despite relying on blowing power to dry hairs, this hair dryer remains one of the quietest in the market. Another aspect that makes this hair dryer so perfect for fine-haired people is the number of settings it offers. While traditional dryers come with three temperature settings and two speed settings, this one has four temperature settings and three speed settings, affording much greater control to the user. It even comes with two concentrators and a diff user. The company calls the smaller concentrator a “smoothing nozzle,” though. This hair dryer’s attachments are more reliable than its competitors’ too. Attachments of most traditional hair dryers become loose over time up until they start falling off without prompting. Dyson has countered that problem by making its attachments magnetic. The magnetic mechanism doesn’t always keep them in place consistently but also ensures adjustability. Another feature designed to make this device easier to use is it’s extra-long heavy-duty cord. The cord measures 8.5 feet, making it very easy for you to move the device around your head. This device’s weight could take away from that usability, though. While this hair dryer is significantly heavier than its competitors, its unique design keeps it from being very difficult to handle. Most of the weight of this device is located in the handle, making the weight balance conducive to maneuverability. Additionally, the handle’s long length also makes the device easy to maneuver. Appearance-wise, this device looks completely different from anything you may have seen before. In fact, it’s appearance is unique enough for us to have difficulty describing it. It comes in two color combinations. One is iron-fuchsia, while the other is white-silver. The biggest flaw of this device is its cost. It is considerably more expensive than any other hair dryer available in the market, but that is the price you pay for such a futuristic device. We believe that its technology, features, and benefits make even its exorbitant cost worthwhile. Who’s it for: If money is not a concern for you and you want state-of-the-art hair drying technology, get the Dyson Supersonic without hesitation. If it weren’t for the Dyson Supersonic, this hair dryer from GHD would be the best hair dryer for fine hair. It is already the most powerful in this list and possibly the most powerful in the industry, itself. It has a power output rating of 2100 watts. This power can be accessed via three temperature settings and three speed settings. Two separate buttons have been provided for these settings which is ideal for fine-haired people. This is also a quiet hair dryer, which can be very helpful if you’re an early riser and your family isn’t. Further, this device incorporates active advanced ionic technology. The negatively charged ions it produces combine well with its higher blowing power to dry fine hairs fast. The negatively charged ions also help combat flyaway and frizzy hair, of course. It comes with the usual attachments as well. The attachments are very easy to put on but very difficult to take off. They’re just a bit too tight and you’ll need to wrestle with the device to get it to let them go. Cleaning the device is also easy, especially because its lint filter is removable. A quality that is rare in hair dryers in general but available with this one is dual voltage compatibility. This device supports both, the North American 110V power system and the rest of the world’s 220V power system. This means that you can take it with you when you go hopping continents. In terms of flaws, you’ll have to deal with this device’s weight. It weighs 3.2 pounds which is heavy enough to make a difference to your luggage weight. More importantly, it is heavy enough to make maneuvering it around the head quite difficult. It weighs so much because of its excellent build quality, though. It’s sturdiness makes it a very durable and long-lasting device. For that dependability and all these features, you’ll have to pay extra. This is a very expensive device, but we do think that it is worth the extra outlay. Who’s it for: If you want the most powerful hair dryer with three speed settings, get this device from GHD. This is a premium-quality hair dryer that boasts of ionic ceramic technology. The ionic ceramic technology, as you know by now, generates negatively charged ions. These ions help against frizzy and flyaway hair and also speed up the drying time. This device, in fact, dries hair quite fast owing to its power. It has a power output rating of 2000 watts and only the GHD hair dryer tops that. Because of its ionic ceramic technology and power output, the company claims that this device can dry hair 30 percent faster than all others. Even though your fine hair means that you won’t use this device at it’s highest settings, the power helps when it comes to blowing air. As it is, you’ll be able to choose from three temperature settings and two speed settings. This device is ergonomically designed too. It has the right weight balance, even though it is a little on the heavier side. Further, the buttons are located on the side of the handle instead of the front. This keeps them from being pressed by mistake while the device is in use. The design also provides for a removable lint filter which makes cleaning this device a breeze. Another superb design element is the extra-long cord. The cord on this compact device spans nine feet, which is rare in this industry. Functionally, the design helps this device remain quiet even at the highest settings. The device also seems tailor-made for fine-haired people because it comes with one attachment only – a concentrator. Something that sets this hair dryer apart from all its competitors is the number of it’s colors variants. You’ll get to choose from seven different options, which are black, black and gold, black and rose gold, black and silver, venetian rose gold, white, and yellow daisy. Unfortunately, the verdict is mixed when it comes to durability. A lot of users say that the device breaks down within a couple of years with the buttons especially being singled out. On the other hand, others say that the device lasts longer than that. We think that the way you handle and maintain this device has a role to play how long it lasts. You’ll have to weigh its durability very carefully because this is one of the more expensive hair dryers in the market. If you think a lifespan of two years isn’t enough, we recommend going for other options. Who’s it for: If appearance is a major consideration and you want power too, get this Elchim hair dryer. 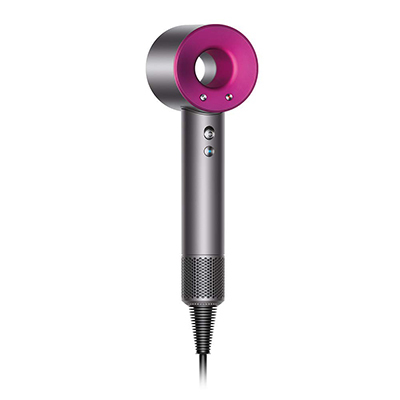 This hair dryer is based on tourmaline titanium technology. Even without the ceramic component, though, this device still generates negatively charged ions naturally. The negatively charged ions help seal hair cuticles and keep them healthy. 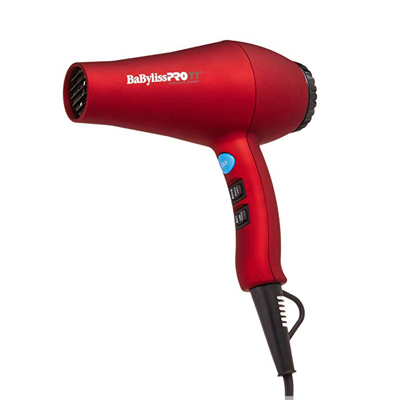 In the value segment, this is the most powerful hair dryer you can get. It boasts of a power output rating of 1900 watts. You’ll get to play with three heat settings and two speed settings. The key difference between this device and others is that you’ll be able to use it at the highest heat setting without worrying about heat damage. The reason for this is that this device utilizes far-infrared technology to produce heat. Further, there is a cold shot button to lock in the style and seal up the hair cuticles. This hair dryer also comes with a concentrator, which is perfect for people with fine hair. However, the attachment is one area where this device could’ve done better. The problem with the attachment is that it gets too hot while in use. It tends to fall off in the middle of operation too. The result is that you end up playing hot potato with it quite often. This hair dryer also boasts of the longest cord in the industry since it’s cord measures nine feet. In fact, the device would’ve been ergonomically perfect if it wasn’t for its switches. The switches are located to the front of the handle, which means that you’ll end up pressing them by mistake. If you ignore the problem with the button placement, this lightweight device is very easy to grip owing to its rubberized finish. The device also has a gorgeous deep red finish. Unfortunately, the red, rubberized coating of this device also happens to be its biggest flaw. Simply speaking, it starts peeling off after a while and creates quite a mess. The decline starts slow and begins with only minor fading. However, it grows into a bloody hand and a red-coated bathroom far too soon to be acceptable. You may think that coating coming off isn’t a big deal, but beware that it is severe enough with this device that you’ll be forced to stop using it. The mess it creates is just too much to handle. Who’s it for: If you’re looking for a hair dryer with far-infrared technology, then this one is a good option. 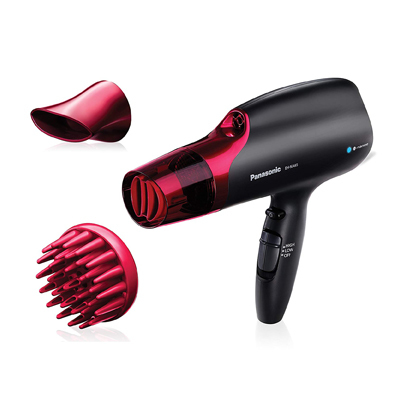 This hair dryer from Panasonic boasts of a completely new way of delivering ionized particles to the hair. The unique nanoe technology from Panasonic captures negatively charged ions from the surrounding environment. It then combines them with water molecules from the environment before delivering them to the hair. According to the company, these specialized ions ensure that the hair gets “1,000 times more” moisture than normal. This is helpful to an extent to people with fine hair, but the extra moisturization could prove to be a problem too. This hair dryer has the usual three temperature and two speed settings. These settings are backed by a power output rating of 1875 watts which seems to be the standard for hair dryers in this price bracket. The attachments that come with this hair dryer, however, exceed expectations. The company gives three attachments with the device – a concentrator, a diff user, and a dual airflow quick dry nozzle. 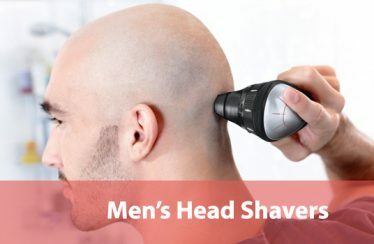 The nozzle is perfect for drying fine hairs. You can experiment, but we recommend rough-drying your hair with this nozzle, before switching to the concentrator. This way your hair will dry faster while attaining that elusive bounce. Rough-drying should be easy with this device too, owing to its nine feet long cord. This device’s removable lint filter will also make your life easy when it comes to cleaning it. The main problem with this device, though, is its size and weight. It is bigger and heavier than the average hair dryer. This will make it difficult to travel with or even store it in your house. If you don’t have a big enough storage drawer, we do recommend using the provided hanging loop. It is quite helpful. 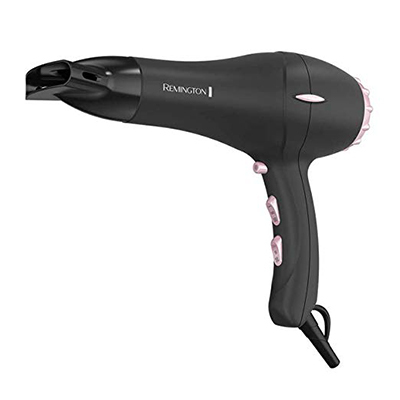 Who’s it for: If you’re looking for reliable hair dryer in the value segment with some unique features, get this Panasonic device. We’ve included this hair dryer from Jinri in our value segment not because of it’s pricing but because of it’s features. Its price is low enough for it to have been included in the budget segment, except for the fact that it offers features more suited to a higher price bracket. The company has positioned this device as a salon-grade hair dryer. Whether you take that claim seriously or not, this is a very good device to have at home for someone with fine hairs because of two reasons. The first is its tourmaline ionic technology which is excellent for speeding up drying times and protecting fine hairs from excess moisture. The other reason is its far-infrared technology. This technology works out perfectly for fine hairs because it is excellent at modulating heat and keeping heat damage at bay. The presence of far-infrared technology means that you can use this hair dryer to it’s full capacity and will not have to limit yourself to lower settings. However, that is only if you need it. There’s no point in maxing the hair dryer settings to the full 1875 watts if you don’t need it. In case you were wondering, you’ll have three heat settings and two speed settings to play with. There’s also the critical cool shot feature to seal the cuticles of your fine hairs. One of this device’s greatest qualities is it’s durability. This device will stay with you for a very long time. For the money you’ll get it for, this is a huge deal. Its durability is the result of the fact that it is based on a high-quality, heavy-duty AC motor, which doesn’t break down easily. The downside of having a heavy-duty motor is that you’ll have to deal with its sound. It is very loud, especially at higher settings. In terms of attachments, Jinri provides them all. There’s a diff user, a concentrator, and even a straightener. This device’s design is ergonomic on the whole, but the developers messed up with button placements. The buttons on this device are placed in a way that they always get in the way of the grip. The result is inadvertent setting changes as you try to manipulate the hair dryer around your head. Maneuvering the hair dryer is also quite difficult mainly because of its weight. It weighs 2.6 pounds, which is higher than most other hair dryers in the market. The length of its cord, however, does make maneuverability easier. The extra-long cord measures 8.3 feet. The hair dryer is also backed by a one-year replacement guarantee and a two-year warranty on defects. 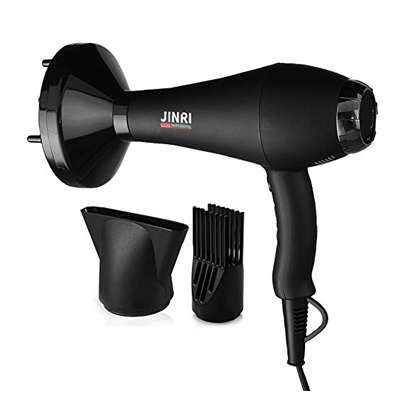 Who’s it for: If you don’t want to spend too much but still want mid-level features, get this Jinri hair dryer. 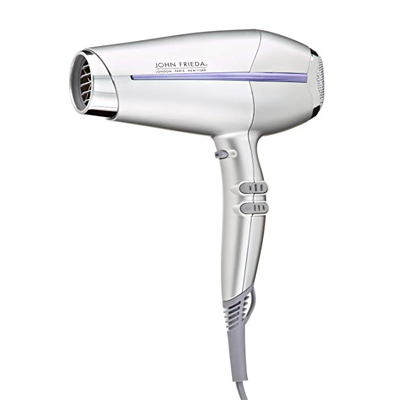 This hair dryer from the iconic John Frieda has been developed specifically to deal with frizzy and flyaway hair. This also makes it suitable for fine-haired people to an extent. It combats frizz with the help of its Advance Ionic Technology. This technology allows it to produce negatively charged ions that seal hair cuticles to protect them from heat and the elements. The ionic technology is supplemented by this device’s titanium ceramic coated grill. The grill ensures even heat distribution and protects the hair from heat damage. Another variable that makes this device good for people with fine hair is that it comes with two concentrators. The two concentrators vary in size which means that they can be used on different-sized sections. A diff user is also included in the package. It does have a removable filter, which is quite easy to clean. In terms of settings, you’ll get the usual three heat and two speed options along with a cold shot button. Unfortunately, when you flip to the maximum setting, you need to be prepared for the noise because this is a loud device. What sets this device apart from its competitors that it comes in two sizes. That’s right; you’ll be able to choose from the full-sized hair dryer for home use and the mid-sized hair dryer for traveling. You can’t travel with the full-sized variant. It is simply too heavy. Therefore, if you want to travel with your hair dryer, you have to make sure that you get the smaller variant. Like most hair dryers, this one’s biggest flaw is it’s button placement. The button is placed to the front of the handle, exactly where you grip the device, leading to changes in settings by mistake. We don’t understand why manufacturers do this when there are so many user complaints. In terms of pricing, this device is on the costlier end of the budget segment. As a result, it may be a little too expensive for many budget buyers. There’s no real justification for this cost either since the device breaks down within one year. Who’s it for: If you have specific requirements about the size of your hair dryer, consider this device from John Frieda. Remington is one of the most trusted names in personal care. In the hair dryer market, their best offering is the AC2015. Amongst its competitors, it is one of the cheapest devices too. The reason why this hair dryer has been included in this list is its air flow. It blows air with some power, which is exactly what you need if you have fine hairs. The company even claims that this hair dryer’s airflow is 40 percent faster than most other hair dryers in this market segment. All that power for the airflow comes from this device’s professional-grade motor that has a power output rating of 1875 watts. Incidentally, despite blowing air with extra-power, this device isn’t very noisy. In fact, you can safely consider this a quiet hair dryer. This device’s power affects its heat output too.If you use this device on its maximum heat setting, the blown air gets unbearably hot. If you have fine hairs, we recommend you never use that setting. As is usual in hair dryers, you’ll get three heat settings and two speed settings to choose from. Another feature that qualified this hair dryer for this list is it’s Pearl Ceramic Technology. The device has a ceramic barrel with crushed pearl fragments embedded in it. Supposedly, the crushed pearl fragments have micro-conditioners that get activated and transferred to the hairs with the heated airflow. Effectively, these micro-conditioners perform the same function that negatively charged ions do. According to Remington, the technology is unique and they have a patent pending on it. The device also comes with a concentrator which is perfect for fine-haired people. A diff user has been included too. Also, the air filter on this hair dryer is removable for easy cleaning. The build quality of this hair dryer is quite exceptional. It is incredibly durable and sturdy. It will last you much longer than most other hair dryers in the same price bracket. The biggest proof of this is that the company has seen it fit to back it’s device with a four-year warranty. That excellent build quality, however, means that this device is a bit too heavy. It weighs just over two pounds which could be a bit much for some people. It’s button placement could also have been better. As it is, it gets in the way of the grip. The biggest issue you’ll have with this device will be its cord. It is just too short. In fact, we won’t be surprised if it was the shortest in the history of hair dryers. It barely measures four feet. Who’s it for: If all you want is reliability at a good price and can make peace with a very short cord, get this Remington hair dryer. Even though this hair dryer may not qualify as the best when it comes to other hair types, it is easily the best budget hair dryer for fine hair. What makes this hair dryer good for fine hairs and not other hair types is it’s power capacity. Even though it has a power output rating of 1875 watts, it doesn’t translate well into heat produced. This works out well for fine hairs but is unhelpful for other hair types. As we’ve explained in this guide, you don’t need high temperatures to dry fine hairs. However, this hair dryer has all the technologies that you need to dry your fine hairs. It has built-in ionic technology which will protect your fine hair by sealing the cuticles with negatively charged ions. There’s also the tourmaline ceramic technology which will keep the heat output evenly distributed, preventing heat damage to your hairs. It even has two independent switches for temperature and speed settings along with a cold shot button. As usual, there are three temperature and two speed settings. Also, the only attachment included with this device is a concentrator which is ideal for fine-haired people. This device is also lightweight making it easy to manage around the head and even to travel with. You’ll even get two color options to choose from. One has a black and chrome finish, while the other has a teal finish. The best bit is that it is amazingly priced. Even for the budget segment, this device’s price is very appealing. Simply speaking, it is super cheap! Apart from the fact that it lacks power, it only has one other flaw. It’s cord is too short, measuring only about five feet. This could be a problem if your power sockets aren’t located just in front of your mirrors. However, the device is cheap enough and perfect enough for fine hairs that you should consider getting a power extension. 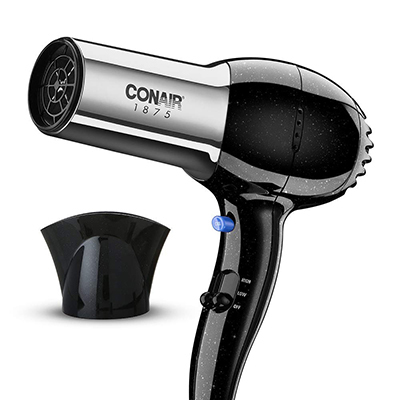 Who’s it for: If you want an affordable hair dryer, custom made for fine-haired people, get this super cheap device from Conair. When it comes to hair dryers with ionization technology, there aren’t many that offer the ability to turn it off and on. This device from Revlon, however, does. This feature, in fact, sets it apart from most of it’s competitors. It has a button for turning the ion generator on and off. 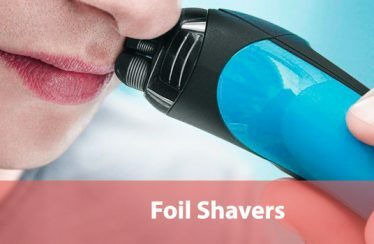 The ion generator is part of this device’s ionic technology that produces negatively charged ions to seal hair cuticles. The reason why this ion generator button is useful is that excessive exposure to these negatively charged ions can make fine hair seem lifeless. While other factors play a role too, this is an important consideration nonetheless. Along with ionic technology, this device also boasts of triple ceramic coating to keep the heat output evenly distributed. Additionally, there is another feature that seems to be tailor-made for fine-haired people – the Turbo Airflow Button. This button will allow you to increase this device’s airflow speed. Pressing the button will cause all its 1875 watts of power to be focused on generating airflow. Increased airflow is particularly beneficial for fine-haired people since they can’t use high-temperature settings to dry their hair. Speaking of settings, there are three heat settings and two speed settings that you’ll be able to use. The Cool Shot button is also present for sealing styles, of course. This hair dryer features a hanging ring, in case you’re one of those people who like to hang their hair dryers. The device also comes with two attachments – a volumizing diff user and a smoothing concentrator. The concentrator should be of particular use to people with fine hairs. Unfortunately, this is where the problems begin. The attachments don’t fit well-enough and drop off without warning. Similarly, even though this device boasts of a removable end cap, it’s filter is very difficult to clean. The worst bit is that if you don’t clean the filter regularly and properly, the hair dryer ends up overheating. Further, once it starts overheating, it’s life goes down drastically to a point where it breaks down within a couple of months. You’ll also need to be prepared for a very noisy hair dryer if you do go for this one. The only saving grace is it’s cost. This is one of the cheapest hair dryers you’ll come across unless you go for those that don’t work more than a few days. 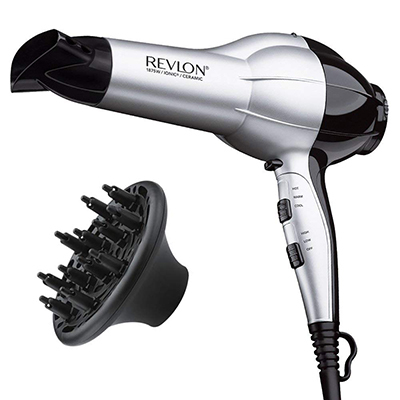 Who’s it for: If you can’t spend too much but still want something suitable for fine hairs, get this device from Revlon.